Induction of apoptosis may be a promising therapeutic approach in cancer therapy. Peroxisome proliferator-activated receptor-γ (PPARγ) agonists induce apoptosis in various cancer cells. However, the molecular mechanism remains to be defined. 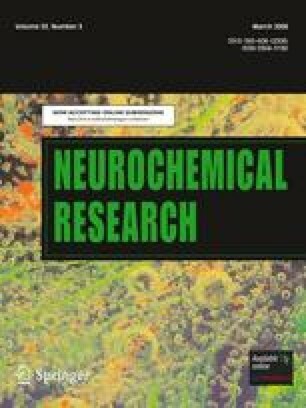 The present study was undertaken to determine the precise mechanism of cell death induced by ciglitazone, a synthetic PPARγ agonist, in A172 human glioma cells. Ciglitazone resulted in a concentration- and time-dependent apoptotic cell death. Similar results were obtained with troglitazone, another synthetic PPARγ agonist. Ciglitazone induced reactive oxygen species (ROS) generation and ciglitazone-induced cell death was prevented by the antioxidant N-acetylcysteine, suggesting an important role of ROS generation in the ciglitazone-induced cell death. The cell death induced by ciglitazone was inhibited by the PPARγ antagonist GW9662. Although ciglitazone treatment caused a transient activation of extracellular signal-regulated kinase (ERK) and p38, the ciglitazone-induced cell death was not affected by inhibitors of these kinses. Ciglitazone caused a loss of mitochondrial membrane potential and its effect was prevented by N-acetylcysteine and GW9662. The specific inhibitor of caspases-3 DEVD-CHO and the general caspase inhibitor z-DEVD-FMK did not exert the protective effect against the ciglitazone-induced cell death and caspase-3 activity also was not altered by ciglitazone. The ciglitazone-induced cell death was accompanied by down-regulation of XIAP and Survivin, but not by release of apoptosis-inducing factor. Taken together, these findings suggest that down-regulation of XIAP and Survivin may play an active role in mediating a caspase-independent and -PPARγ-dependent cell death induced by ciglitazone in A172 human glioma cells. These data may provide a novel insight into potential therapeutic strategies for treatment of glioblastoma. This work was supported by the MRC program of MOST/KOSEF (R13-2005—009) and the 21st Century Frontier/Stem Cell Research Committee (SC3130) in Korea.